EXCELL is honered to announce that Sichuan-based HaiDiLao Hotpot has adopted EXCELL's IP68 stainless waterproof weighing scales, ESW PLUS, for fresh food processing at it's entire chain stores. 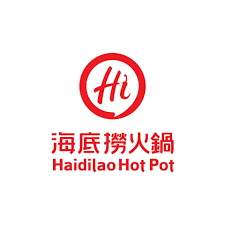 HaiDiLao is a popular hotpot chain from China that opened up its first Taiwan branch in September 2015 and now has 6 chain resturants across Taiwan. HaiDiLao Hotpot is known for its services and fresh food. "Fresh food processing is key to fresh food, safety and health. EXCELL's ESW PLUS uses Type 304 food grade stainless steel housing and complies with RoHS Lead-Free manufacturing process, which help us committed to the food safety and health of our customers. We are honored to work with EXCELL. We will adopt ESW PLUS at all our entire chain stores," said Zhang Yong, Haidilao's personable founder and CEO. "HaiDiLao value food safety the most. They are keen to promote the bright kitchens and shiny stove, in which they wish the customers to keep an eye on how their food is being prepared. It's our honor they choose EXCELL's ESW PLUS for their entire chain resturants," said C.C. Lo, President and CEO at EXCELL. "We are delighted to partner with HaiDiLao to the committment of the fresh food and health of the customers. ESW PLUS is suitable for use in the wet washdown environments of the food processing and chemical industries. Its patented pressure relief mechanism is designed to reduce weighing error caused by external and internal presure difference" said Jeff Chien, Vice President of Sales & Marketing at Excell. EXCELL ESW PLUS IP68 waterproof and dustproof design has been tested and verified by SGS. The one piece stainless steel housing and water barrier prevent water infiltration. Besides Stainless Steel Housing, EXCELL has alternative IP68 waterproof weighing scale, ELW PLUS, with ABS housing. 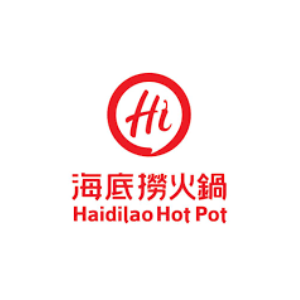 HaiDiLao Hotpot is a chain of hotpot restaurant based in Sichuan province, China in 1994. HaiDiLao has taken China by storm with its brain-boggling selection of hot pot soup bases, fresh food, exceptional services, and fair prices.